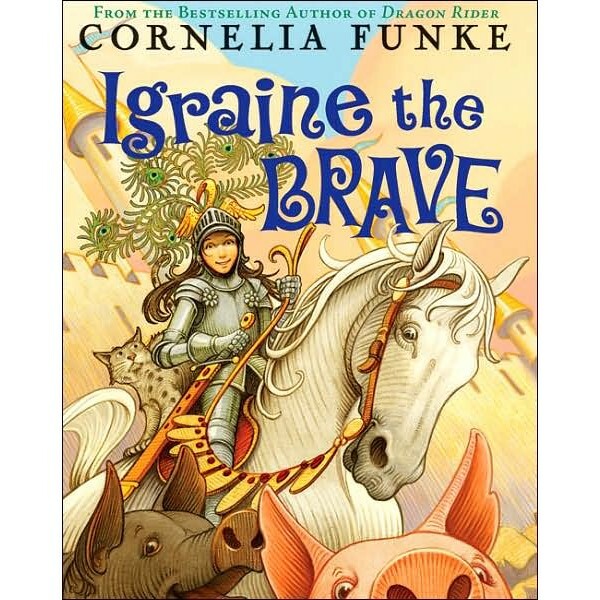 Igraine the Brave is an enchanting fairy tale told with author Cornelia Funke's trademark warmth and wit: Perfect Funke fare for readers in the middle grades -- Cornelia's "sweet spot"! Igraine dreams of becoming a famous knight just like her great grandfather, but the truth is, life at the family castle is rather boring. Until the nephew of the baroness-next-door shows up. He's got a dastardly plan to capture the castle and claim as his own the wonderful singing spell books that belong to Igraine's magician parents. To make matters worse, at the very moment of the siege, her mom and dad botch a spell, turning themselves into pigs! 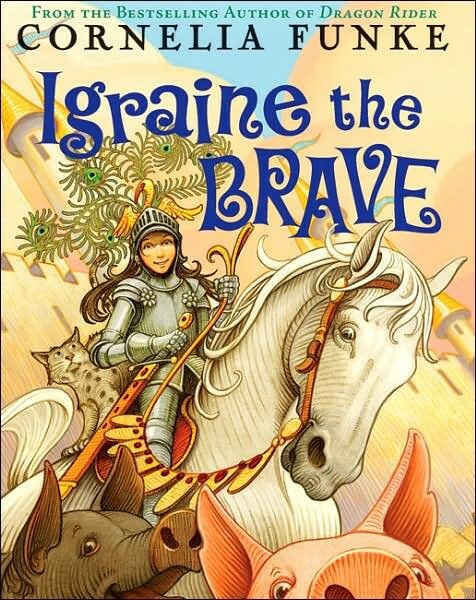 Aided by a Gentle Giant and a Sorrowful Knight, it's up to Igraine to be brave and save the day -- and the books!